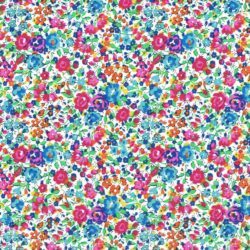 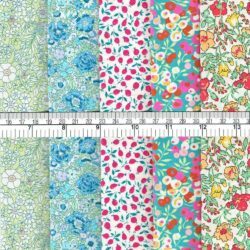 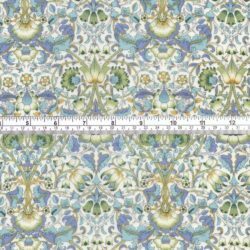 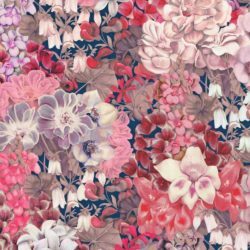 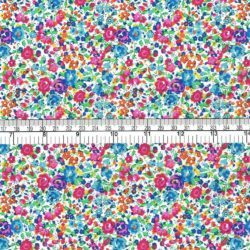 Clearance-price, bumper-sized pack of Liberty mixed Tana and Poplin small pieces. 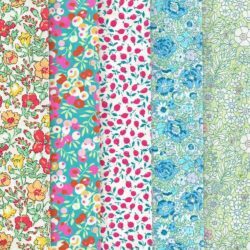 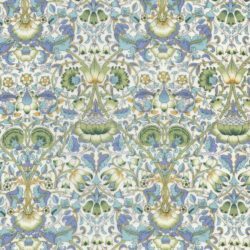 This pack comprises 150-160 small pieces of Liberty cotton – mainly Tana Lawn, some poplin – from seasonal collections and colour ways that are now sold out. 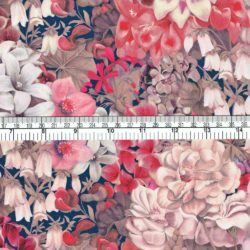 Every piece measures 14cm x 19cm, (5.5” x 7.5”) and has a very sticky label in the corner this label might soak off with a gentle wash, or you might need to cut the bottom part of the piece off. 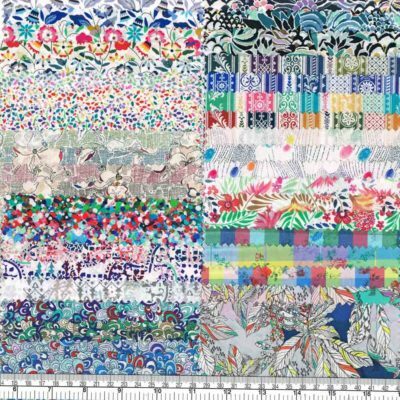 The whole pack should be enough fabric for a single quilt top (52” x 80”) after all the pieces had labels trimmed off and were laid flat and sewn together. 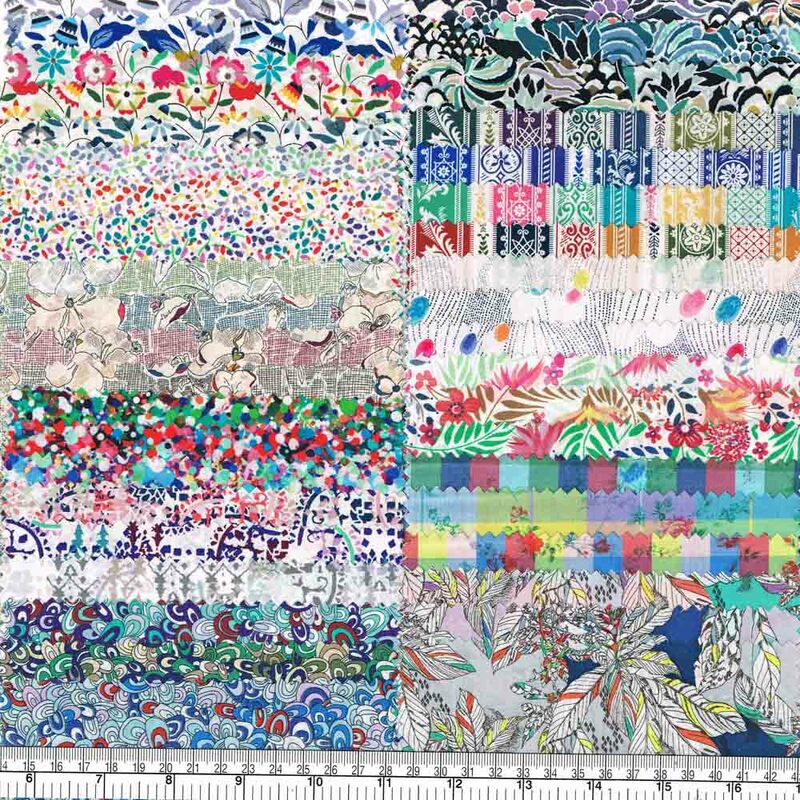 (For comparison, this amount of fabric at full price would sell for at least £44). 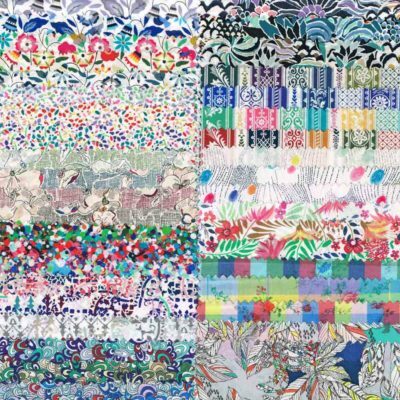 Each pack includes the exact prints shown. 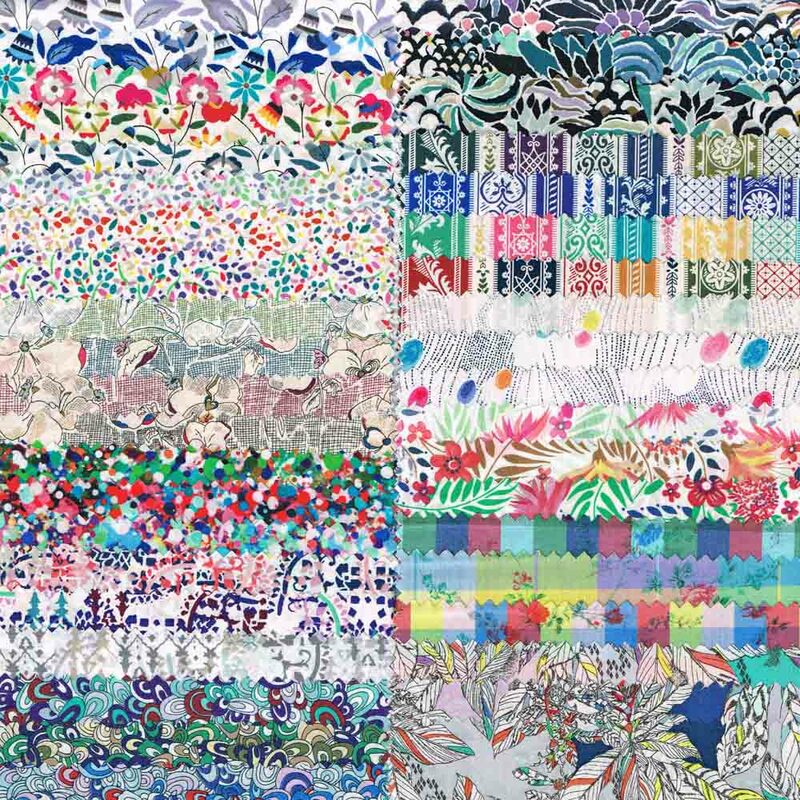 There are four sets of each print, in the multiple colour ways shown.